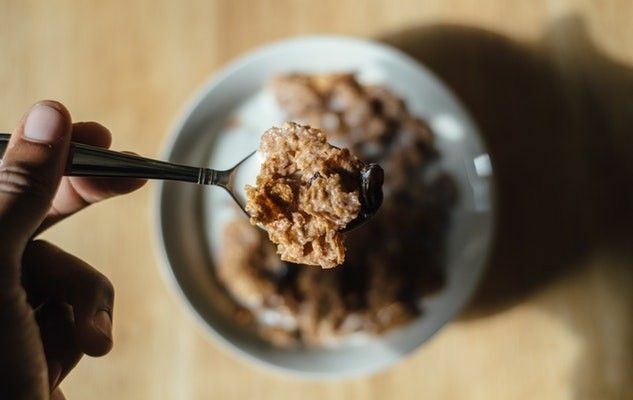 Browsing the breakfast cereal aisle, it can be difficult to work out what’s best among all the attractive packaging and labels like “all natural,” “organic,” “superfoods” etc. We have already shared our criteria for making an informed choice. But following a question by one of our readers, today I’m going to explain the difference between muesli and granola. Muesli is a mix of cereals and dried fruits, usually eaten with milk for breakfast. It owes its existence to the Swiss doctor Maximillian Bircher-Benner (in fact, in Swiss German this product is called birchermuesli, named after the doctor and muesli which means “little mash”). The story goes that Dr. Bircher came up with his recipe at the beginning of last century after having met and shared a meal with a shepherd during a mountain excursion. Despite his advanced years, the shepherd was healthy and strong. The meal was made of crushed wheat and milk, with a few hazelnuts and an apple, sweetened with honey. At first known only in wellness centres and by mountaineering aficionados, muesli is now available in a multitude of varieties and occupies an important space on supermarket shelves. Like muesli, granola is also a mix of cereals and nuts, but the difference is that granola is oven-baked, often with oil and honey or maple syrup which helps the ingredients to stick together. What’s more, granola is always eaten cold (with milk or yogurt), while muesli can be eaten hot or cold with milk or another liquid, like oat meal or porridge. Just like muesli, granola also owes its existence to a doctor, Dr. James Caleb Jackson, who began offering to patients in his New York based sanatorium around 1863. Like its Swiss cousin, granola is omnipresent in supermarkets, often with added sugar and fats which take away from its original healthy properties. Our recipe for Homemade Granola is particularly tasty, healthy and cheap to make. Give it a try!